Android Nougat 7.1, the newest version of Android at the time of writing this article, comes with several new features. The one that we will be exploring in this blog post is the App Shortcuts feature. 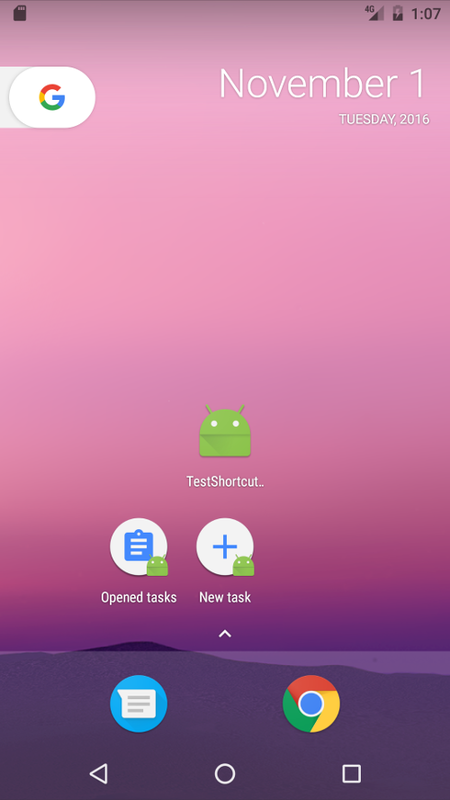 App Shortcuts allows you to create shortcuts for specific actions within your app that can bring users directly from the launcher to the associated screens. The feature is available on any launcher that supports them, such as Google Now and Pixel launchers. To reveal the shortcuts of an app, simply long-press the launcher icon of that app. If you are enrolled in the Beta program and got the Android 7.1 Developer Preview, you can find that some of the apps already support App Shortcuts, for example: Camera, Dialer, Messenger, Google Drive, and Youtube. Unfortunately there’s no visual indication on which apps support this feature (at least not at this time), so you will have to long-press on every app’s launcher icon in order to discover the ones that support it. There are 2 ways that can be used to add app shortcuts to your app: statically (by declaring all the shortcuts in a resource file, also known as manifest shortcuts) and dynamically (by adding the shortcuts at runtime). First we will take a look at the static approach. Each shortcut defines a series of attributes, like the icon and labels, and also references an intent which is set to launch a specific activity when triggered. The recommended maximum number of shortcuts is 4, although it is possible to publish up to 5. Please note that the android:shortcutId attribute is a mandatory attribute. Not declaring it will cause the respective shortcut not to appear in the shortcuts list. Any activity that has the intent-filter action set to android.intent.action.MAIN and the category to android.intent.category.LAUNCHER can display app shortcuts. 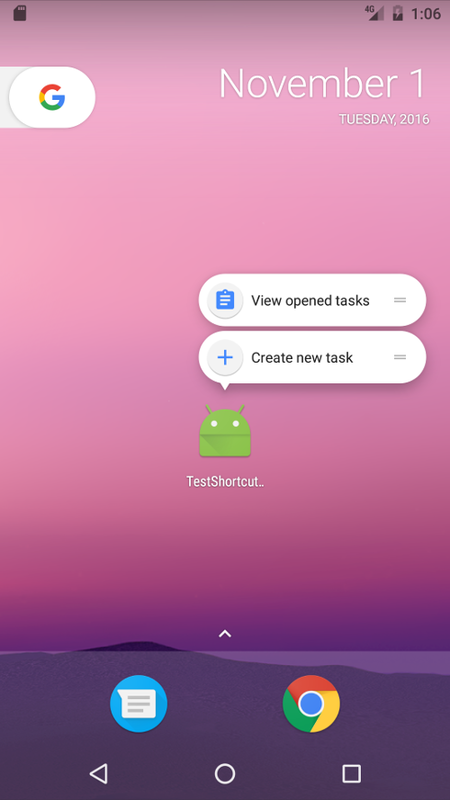 For testing purposes I used the Android Studio wizard to generate the shortcut icons, but in a production app you should follow the Android Design Guidelines :). Have you noticed that the text of the shortcuts in the first image differs from the text of the shortcuts in the second image? Well, that’s what the android:shortcutLongLabel and android:shortcutShortLabel attributes are for. What about the android:shortcutDisabledMessage? In case a shortcut is disabled it will no longer appear in the shortcuts list. However, if the shortcut is already pinned, it will be simply grayed out and tapping on it will display the message specified by the android:shortcutDisabledMessage attribute. updateShortcuts(List ids) – update all existing shortcuts by ID. removeDynamicShortcuts(List ids) – delete dynamic shortcuts by ID. disableShortcuts(List ids) – disable dynamic shortcuts by ID. Please note that attempting to manipulate a static shortcut via the ShortcutManager will throw IllegalArgumentException: Manifest shortcut ID=xyz may not be manipulated via APIs. The 25th version of Android Support Library brings an implementation of the Bottom navigation pattern called BottomNavigationView – a navigation bar intended to make it easy to switch between top level views with a single tap. From code side BottomNavigationView is as easy to use as from layout side. An implementation of OnNavigationItemSelectedListener is what you need to provide in order to handle events on bottom navigation items. 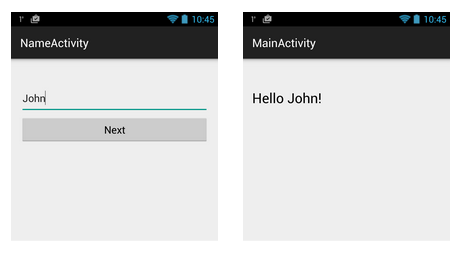 Espresso is a testing framework that exposes a simple API to perform UI testing of android apps. 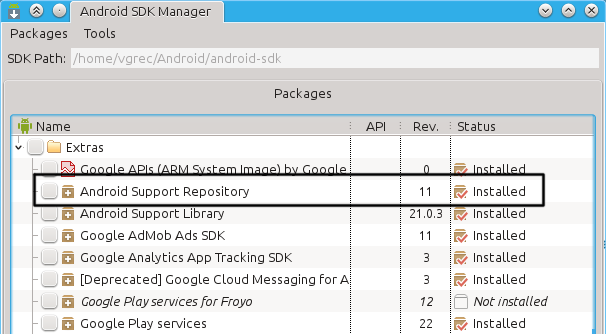 With the latest 2.0 release, Espresso is now part of the Android Support Repository which makes it more easier to add automated testing support for your project. But before jumping into Espresso API, lets consider what puts it apart from the other testing frameworks. One of the first things you’ll notice about Espresso, is that its code looks a lot like English, which makes it predictable and easy to learn. The API is relatively small, and yet open for customization. And that is basically what it takes “to invite your project to a cup of Espresso”! Espresso is built up from 3 major components. ViewAssertions – allows you to assert the state of a view. And, for example when you will need to check something (like, is some text displayed on the screen? ), you’ll know you’ll need a ViewAssertion for that. Below is an example of a test in Espresso, and where the main components find their place. Suppose we have an app where the user is asked to enter his name. After he enters the name, he taps on the “Next” button and is redirected to another activity where a greeting message is displayed. // locate the view with id "user_name" and type the text "John"
// locate the view with id "greeting_message" and check its text is equal with "Hello John!" Notice that we don’t specify explicitly what kind of view we are interacting with (eg. : EditText, Button), we simply say that we are looking for a view with a specific id. Also, when clicking on the “Next” button and later checking the text, we don’t have to write some special code to tell Espresso that we have navigated to another activity. Now, if we want to actually run this test, then it should be put in a class. 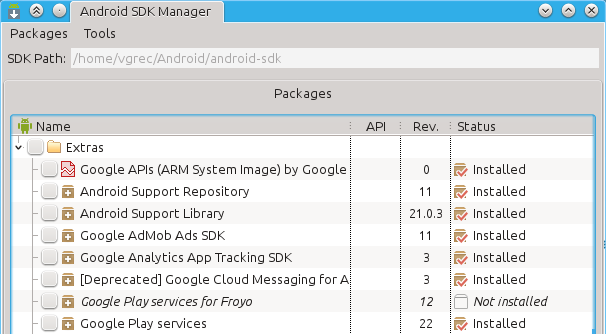 In Gradle, the location where tests are stored is: yourApp/src/androidTest/java. Whenever you have a ListView, GridView, Spinner, and other Adapter based views, you’ll have to use onData() in order to interact with an item from that list. onData() is targeting directly the data provided by your adapter. What does this mean, we will see in a moment. In a hypothetical application we are asked to select a country from a Spinner, once selected, the country is displayed next to the Spinner. // match an item that is a String and is equal with whatever value the COUNTRY constant is initialized, then click on it. The Spinner you saw in the example above is backed by a simple array of strings, and because of this, we specify that we are looking for an item of type String. If, instead of a String, it were some custom object, then we would specify that instead. Espresso has a few useful methods that can be used to interact with data. atPosition() – Might be useful when the element to interact with is not relevant, or when the items always appear in a specific order, so you know every item on what position sits. inRoot() – Use inRoot() to target non-default windows. One scenario where this can be used is when testing autocomplete. 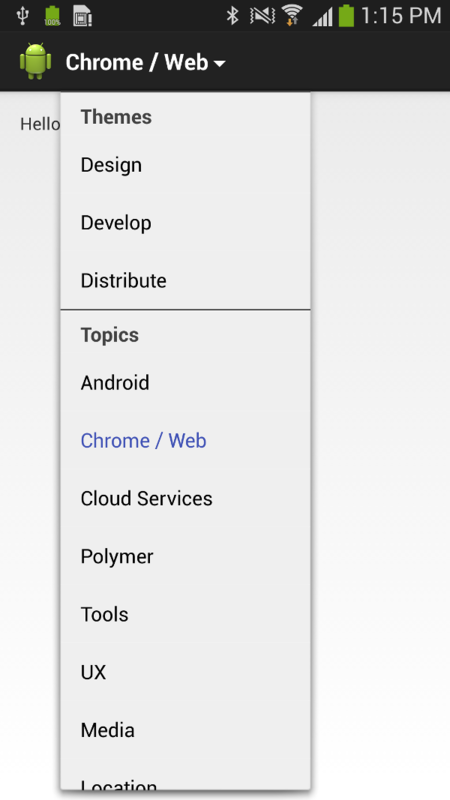 The list that appears in the autocomplete view belongs to a window that is drawn on top of application window. In this case you have to specify that the data you are looking for, is not in the main window. onChildView() – This DataInteraction allows to further refine the query by letting you interact with a specific view from a list row. inAdapterView() – This allows to select a particular adapter view to operate on, by default Espresso operates on any adapter view. 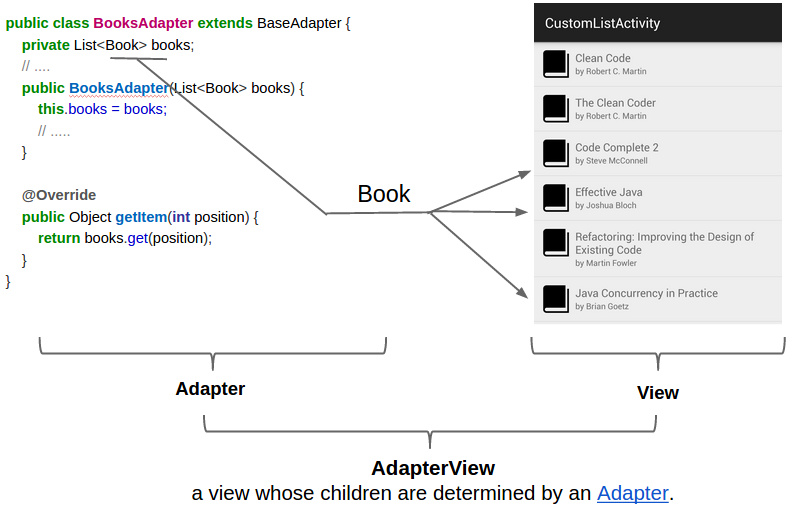 You may find this useful when dealing with ViewPagers and Fragments, and you want to interact with the AdapterView that is currently displayed, or when you have more than one adapter view in your activity. RecyclerView is an UI component designed to render a collection of data just like ListView and GridView, actually, it is intended to be a replacement of these two. What interests us from a testing point of view, is that a RecyclerView is no longer an AdapterView. This means that you can not use onData() to interact with list items. 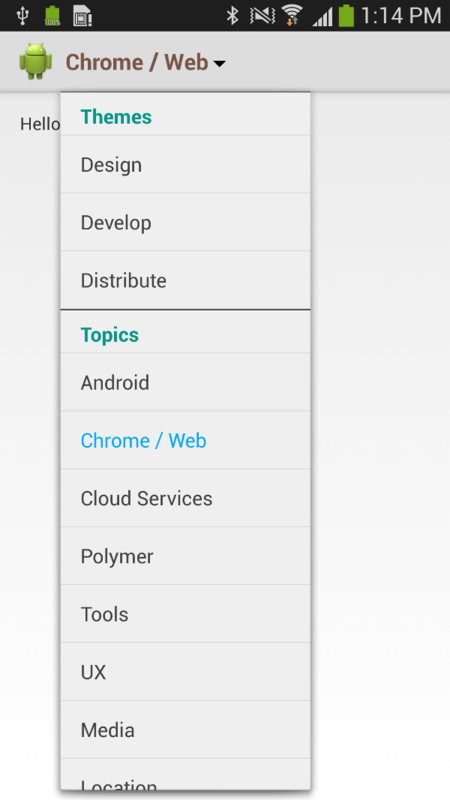 This Android library allows you to replace the drop down navigation list with a custom list where the items in the list are grouped by sections. 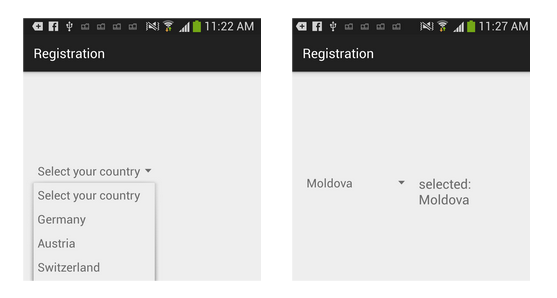 It was inspired from the Google I/O 2014 app how sessions are grouped in the ActionBar list. While the new Material Design movement discourages the use of ActionBar lists, in some situations it can be the best available option. At the moment the library is not available on a repository, you have to include it as a source library in your project, but that will be fixed soon. The SectionedActionBarList accepts a list of sections List<Section> sections, and every Section has a name and some associated items. Thanks to Webucator, a provider of Android classes, for producing the below video illustrating the integration of the SectionedActionbarList. However, using Serializable still is more attractive than using Parcelable, because it is simpler. The only thing you have to do is to let your class implement Serializable and you are done, while implementing Parcelable requires you to write a lot of boilerplate code which slows you down. Fortunately, AutoParcel, a Parcelable generation library, is here to help you and speed up creation of Parcelable classes. Don’t worry if the IDE complains that it cannot find AutoParcel_Book, just hit run and the compilation error should auto resolve. Another feature of AutoParcel that you may find useful, is that unlike regular Parcelable classes, you can have a custom object as a member of an AutoParcel class, without having that object to implement Parcelable. Volley is an android library released by Google that can make your life easier when dealing with network operations. In this blog post I will mention the main features of the library and show a few example usages, in particular, how to make a request, how to download images, and how to use the cache. b) Supports request prioritization. This means that you can load content depending of priorities, for example the main content could have a high priority, but the images a low priority. c) Provides transparent disk and memory cache that allows for quick reloading of data. Transparent cache means that the caller doesn’t have to know about the existence of the cache. That is, the cache is implemented automatically. You do, however, have the possibility to disable the caching. d) Provides a good API for canceling requests. You can cancel a single request, or cancel requests depending on some filters. Besides the great features that Volley comes with, you don’t have to use it for everything. Volley is great for RPC-style network operations that populate UI, a typical example would be loading thumbnail images into a ListView, but not very good for streaming operations like downloading a video or mp3. The most frequent classes of Volley that you will work with are RequestQueue and Request, and ImageLoader when dealing with images loading. RequestQueue is used for dispatching requests to the network. It is recommended to create it early and use it as a Singleton. Request is the base class for creating network requests (GET, POST). ImageLoader is a helper class that handles loading and caching images from remote URLs. As recommended, lets create first a Singleton class that will return on demand an instance of RequestQueue and one of ImageLoader. Volley comes with a class called JsonRequest that you can use to make requests to a server that returns a json response. However, in this example we will query an RSS feed which returns a response in XML format. Volley does not include a similar class for handling xml responses, like JsonRequest, but it has StringRequest class that can be used to retrieve the response body as a String. 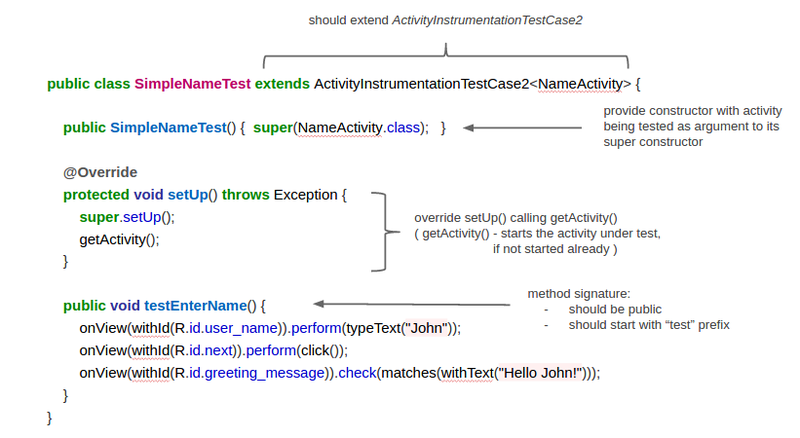 The second constructor does not take the request method as a parameter, when not specified, a GET request is created. ErrorListener is a callback interface for delivering error responses. //something happened, treat the error. And that is all! The execution of the request implies its addition to the RequestQueue. then use setImageUrl() and you are done! If, for some reason, you don’t want or can’t use NetworkImageView, then there’s an alternate method. One of the Volley’s features is that it provides transparent disk and memory cache. The cache is implemented automatically for classes that extends Request, such as JsonRequest and StringRequest. to invalidate the cache: this will allow to display the cached data until the response is received. When the response is received, it will automatically override the cached data.